The criminal law in England and Wales in relation to bribery and corruption is made up of an assortment of statutory provisions that apply depending on when the relevant conduct took place. Historically, the principal anti-bribery and corruption provisions in England and Wales were contained in two antiquated statutes: the Public Bodies Corrupt Practices Act 1889 (the 1889 Act) and the Prevention of Corruption Act 1906 (the 1906 Act).2 It was not until 14 February 2002, however, that the offences in these statutes were given specific extraterritorial effect. The law changed again, on 1 July 2011, when the Bribery Act 2010 (the 2010 Act) came into force. 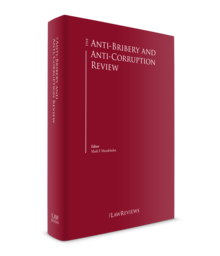 The 2010 Act was heralded as one of the toughest anti-bribery and corruption regimes in the world, particularly as regards its extended extraterritorial reach and provision for strict corporate criminal liability. More recently, the Crime and Courts Act 2013 (the 2013 Act) has introduced a scheme of deferred prosecution agreements (DPAs) for corporations accused of various offences, including bribery. The scheme is designed to apply to conduct that takes place either before or after its commencement on 24 February 2014. At the time of writing, three such agreements have been concluded in connection with bribery offences. Guidance on sentencing of business crime, including bribery and corporate fines, came into force for individuals and organisations sentenced on or after 1 October 2014. The 1889 Act and the 1906 Act continue to apply to conduct occurring before 1 July 2011. The 1889 Act relates specifically to the corruption of public bodies and creates an offence for a person corruptly to give, promise or offer (or to receive or solicit) any advantage whatsoever to any person, whether for their or another's benefit, as an inducement to or reward for or otherwise on account of any servant of a public body doing or forbearing from doing something in respect of the public body's activities. No agency is involved as the public servant performs the public body's business as principal. If the payment is made or received as an inducement for that public servant to do or forbear from doing something then the payment is corrupt. The maximum sentence is seven years' imprisonment (for individuals) or an unlimited fine or both. A public body is defined in Section 7 of the 1889 Act and in Section 4(2) of the Prevention of Corruption Act 1916 as including local and public authorities of all descriptions. The definition does not include those operating on behalf of the Crown, who do so as agents of the Crown and not as public officers in their own right. The 1906 Act provided for a similar prohibition (with the same maximum sentence) as the 1889 Act, with the critical distinction being that the bribe must have been made to an agent as an inducement or reward for doing or forbearing to do something in relation to his or her principal's affairs. The activity of the principal and his or her state of knowledge therefore becomes relevant. The term 'agent' may cover any person who is employed by or who acts for another. The 1906 Act therefore applies to commercial bribery as well as bribery of Crown agents, who are expressly included by virtue of Section 1(3) of the 1906 Act. The liability of a corporation for the above (and most other) offences can be established only by implementing the 'identification doctrine'. In other words, the prosecution must establish that the company's 'directing mind' – a senior individual, usually a director, who could be said to embody the company in his or her actions – committed the offence him or herself; then, that director's guilt would be 'attributed' to the company. The difficulty encountered in proving such liability in practice provided part of the impetus for the changes to the law in the 2010 Act, including the new strict liability offence applicable to 'commercial organisations' of failing to prevent bribery. The offence of bribing another person (Section 1) is committed where a person directly or indirectly offers, promises or gives a financial or other advantage to another person and (1) he or she intends the advantage to either induce a person to 'perform improperly' a relevant function or activity or to reward a person for such improper performance; or (2) he or she knows or believes that the acceptance of the advantage would itself constitute the improper performance of a relevant function or activity. In either case, it does not matter whether the person to whom the advantage is offered, promised or given is the same person who is to perform, or has performed, the function or activity concerned. The term 'relevant function or activity' is defined very broadly in Section 3 of the 2010 Act to include any function of a public nature, any activity connected with a business (i.e., trade or profession) or performed in the course of a person's employment and any activity performed by or on behalf of a body of persons. To qualify, however, the person performing the function or activity must either be expected to perform it in good faith or impartially, or he or she must be in a position of trust by virtue of performing it. The term 'improper performance' is defined in Section 4 of the 2010 Act as the performance of a relevant function or activity in breach of a relevant expectation. The term 'relevant expectation' means the expectations arising from the conditions mentioned in Section 3 of the 2010 Act: good faith, impartiality or any expectation arising from the position of trust. For bribery that takes place overseas or in respect of overseas persons (addressed further below), the expectation is what a reasonable person in the United Kingdom would expect and should therefore disregard any local custom or practice unless it is permitted or required by the applicable written law. The offence of being bribed (Section 2) is committed where a person (R) requests, agrees to receive or accepts a financial or other advantage: (1) intending that, in consequence, a relevant function or activity should be performed improperly (whether by R or another person); (2) when the request, agreement or acceptance is itself improper; (3) as a reward for such improper performance (whether by R or another); or (4) where the improper performance is undertaken in anticipation of, or in consequence of, the request, agreement to receive or acceptance of the advantage. In all cases, it does not matter whether the request, agreement to receive or acceptance is made directly or through a third party. Nor does it matter whether R (or the person who performs the function or activity) knows or believes that the performance of the function or activity is improper. As with the law applicable to conduct that took place prior to 1 July 2011, both individuals and companies (via the identification doctrine) may be liable for the general offences in the 2010 Act (or for an offence under Section 6 of the 2010 Act, addressed below). Proportionate procedures: maintaining bribery prevention policies that are proportionate to the nature, scale and complexity of the organisation's activities, as well as to the risks that it faces. Top level commitment: ensuring that senior management establishes a culture across the organisation in which bribery is unacceptable, which may include top-level communication of the organisation's anti-bribery stance and being involved in the development of bribery prevention policies. Risk assessment: conducting periodic, informed and documented assessments of the internal and external risks of bribery in the relevant business sector and market. Due diligence: applying due diligence procedures that are proportionate to the risks faced by the organisation; since an organisation's employees are associated persons, appropriate due diligence may become part of recruitment and HR procedures. Communication and training: ensuring that bribery prevention policies are understood and embedded throughout the organisation through education and awareness. Monitoring and review: putting in place auditing and financial controls that are sensitive to bribery, including consideration of obtaining external verification of the effectiveness of an organisation's anti-bribery procedures. The MOJ guidance includes a number of illustrative case studies. Ultimately, however, the question of whether an organisation has adequate procedures will turn on the particular facts of the case. There also remains the larger ambiguity of what constitutes a bribe. There is no exception in the 2010 Act for facilitation payments and much has been made of the threat to corporate hospitality. That said, the guidance attempts to reassure businesses that the 2010 Act 'is not intended to prohibit reasonable and proportionate hospitality and promotional or other similar expenditure intended for these purposes'. The investigation of bribery offences may be conducted by any police force in the United Kingdom, but in the context of large-scale commercial bribery often falls to the National Crime Agency (NCA) or the Serious Fraud Office (SFO). The latter has powers to compel the provision of information or documents and can apply to the courts for warrants to search premises and seize documents.6 The prosecuting agencies include the Crown Prosecution Service (CPS) (which handles any prosecution arising from an NCA or other police investigation in England and Wales) and the SFO. At the time of writing, the first few investigations, prosecutions and convictions under the 2010 Act have started to make their way through the system. A handful of individuals have been convicted, including several who paid bribes to obtain contracts for work at royal palaces. In 2018, a company called Skansen Interiors Limited became the first to be convicted of the corporate offence under Section 7 of the 2010 Act after a trial, having self-reported the payment of bribes to a (domestic) customer by its managing director, who was then dismissed. Although the jury rejected its argument that its procedures were adequate, the judge imposed only a nominal penalty in the form of an absolute discharge (there being no other practical alternative, given that Skansen was by then insolvent). The lesson from the case (which was prosecuted by the CPS, not the SFO) – that a self-report does not guarantee that a company will be treated leniently – clearly has the potential to be counterproductive from a law enforcement point of view. The 2010 Act expanded significantly the territorial scope of the pre-existing bribery offences. First, a specific offence of bribery of a foreign public official was created; and, second, the range of individuals and entities who may be liable under the 2010 Act for offences committed overseas has been expanded, in particular as regards the new offence of failing to prevent bribery. Furthermore, the scope of entities that may be liable under the new failing to prevent bribery offence (Section 7) is very wide: they include commercial organisations based or incorporated overseas in circumstances where the organisation carries on a business, or part of a business, in part of the United Kingdom. While the MOJ has indicated that a 'common-sense approach' should be taken in interpreting this provision such that a company with no 'demonstrable business presence in the United Kingdom' ought not to be caught by the provision, the SFO has expressed an intention to interpret it widely. Therefore, arguably, a permanent physical presence in the United Kingdom together with trading activity taking place in the United Kingdom will be sufficient. Under the Theft Act 1968, a person (including a company) is guilty of false accounting if he or she dishonestly, with a view to gain or cause loss, destroys, defaces, conceals or falsifies any account, record or document required for an accounting purpose, or where he or she produces or makes use of any such account, etc. knowing it is or may be misleading, false or deceptive in a material particular. The various Companies Acts create numerous offences, including failure to keep adequate accounting records, making false statements to an auditor and fraudulent trading (where a person is knowingly party to the carrying on of a business for any fraudulent purpose). These offences have, historically, been utilised as an alternative to a prosecution for a substantive corruption offence (see, for example, the guilty plea by BAE Systems PLC in December 2010 in respect of allegations of overseas corruption). The enforcement of foreign bribery is generally conducted by the SFO. Historically, however, criminal enforcement in England and Wales against companies for foreign bribery has been rare, mainly because of the inherent difficulty in attributing liability and obtaining foreign evidence. As a result, in the past decade or so, the SFO has sought to encourage companies to self-report their wrongdoing and cooperate with their investigation. In so doing, the SFO initially made use of new tools at its disposal, in particular its powers to enter into settlements by way of CROs as an alternative to prosecution. Between 2008 and 2012, the SFO, under its then director, Richard Alderman, entered into numerous consensual civil settlements with companies accused of being involved in foreign bribery. They included: Balfour Beatty (£2.25 million) in 2008; AMEC (£4.95 million) in 2009; MW Kellogg (£7 million) in 2009; DePuy International (£4.829 million) in 2011; Macmillan Publishers (£11 million) in 2011; and Oxford Publishing Limited (£1.89 million) in July 2012. Notwithstanding the apparent success of Mr Alderman's strategy (in 2011–2012, for example, the SFO obtained three CROs and recovered £50.2 million in connection with criminal conduct – a large figure for the United Kingdom, albeit low in comparison to the level of funds recovered routinely in the United States), the SFO's approach did not meet with universal acclaim. Particular criticism was made by the now Lord Chief Justice of England and Wales, Sir John Thomas, in the 2010 case of R v. Innospec Ltd. The SFO under Mr Green obtained convictions under the 2010 Act (in a case primarily concerning fraud, with connections to Cambodia), as well as the first conviction, after a contested trial, of a corporate entity for foreign bribery (Smith and Ouzman, a printing company prosecuted under the pre-2010 law), the first conviction of a corporate entity for failing to prevent bribery under Section 7 of the 2010 Act (the Sweett Group PLC, which pleaded guilty in December 2015 and was sentenced and ordered to pay £2.25 million in February 2016), and three deferred prosecution agreements in relation to bribery (see Section VIII.i). the UN Convention against Transnational Organised Crime. The United Kingdom has, however, set its face firmly against the establishment of a European Public Prosecutor's Office. At the time of writing, the impact on bribery enforcement of the United Kingdom's pending exit from the EU is unclear. The 2013 Act created a scheme of DPAs for corporations accused of various offences, including bribery. The scheme applies to conduct before or after its commencement on 24 February 2014. The 2013 Act required a Code on DPAs to be issued giving relevant guidance to prosecutors. Published on 11 February 2014, the Code suggests guidance for when a prosecutor might 'invite' an organisation to agree to enter into a DPA. The first stage is to assess whether there is either a realistic prospect of conviction (the usual evidential test for a prosecutor) or 'at least a reasonable suspicion' that the organisation has committed the offence. The second stage is to assess whether the public interest would be properly served by a DPA as opposed to a prosecution. The factors the Code suggests are relevant in deciding that this test is satisfied include a 'genuinely proactive approach' by the organisation and an 'effective corporate compliance programme'. Self-reporting will help, though in itself it will not be determinative. At the time of writing, three DPAs have been concluded in respect of offences of failing to prevent bribery under Section 7 of the 2010 Act. The first, in November 2015, was with Standard Bank PLC, involving payment of financial orders of US$25.2 million and compensation of a further US$7 million to the government of Tanzania, as well as an agreement by the company to cooperate fully with the SFO and to be subject to an independent review of its existing anti-bribery and corruption controls, policies and procedures, and to implement the reviewer's recommendations. The second, in July 2016, was with a company that has not yet been named (pending the conclusion of proceedings against individuals), referred to as XYZ, and involved financial orders of £6,553,085, comprising a £6,201,085 disgorgement of gross profits and a £352,000 financial penalty. XYZ also agreed to continue to cooperate fully with the SFO and to provide a report addressing all third-party intermediary transactions, and the completion and effectiveness of its existing anti-bribery and corruption controls, policies and procedures within 12 months of the DPA and every 12 months for its duration. The United Kingdom's Sentencing Council has published guidelines on sentencing of various business crimes, including bribery, which entered into force for individuals and organisations sentenced on or after 1 October 2014. In the absence of previous guidelines or established sentencing practice for organisations convicted of financial crimes, the Council took into account (among other things) the regulatory and civil penalty regimes used by bodies such as the Financial Conduct Authority, civil and criminal penalties in other jurisdictions (notably the United States) and the sentencing guidelines for corporations produced by the US Sentencing Commission. The Council prescribes a process that involves assessing the amount obtained (or loss avoided) or intended to be obtained (or avoided), and says that 'for offences under the Bribery Act, the appropriate figure will normally be the gross profit from the contract', although for the corporate offence of failing to prevent bribery 'an alternative measure . . . may be the likely cost avoided by failing to put in place appropriate measures to prevent bribery'. It goes on to suggest that in the absence of clear evidence the court may use a figure of '10–20 per cent of the relevant revenue derived from the product or business area to which the offence relates [during] the period of the offending'. Allegations of bribery may involve numerous other legal issues, including the potential for civil claims and employment disputes, freezing of assets, possible debarment from participating in public contracts in the European Union, and potential breaches of regulatory provisions. A few points should be noted in the specific context of England and Wales. First, with respect to potential civil claims, the privilege against self-incrimination does not apply in cases of fraud (which the courts have held includes bribery),27 so that a person suspected of bribery who is required to provide information in the context of a civil claim may be forced to give evidence that incriminates him or her (although it may not then be used as evidence in criminal proceedings). Second, with respect to employment disputes, individual suspects who are questioned as part of an external or internal investigation into suspected bribery offences in the United Kingdom increasingly find themselves engaged in disputes over the provisions of a relevant insurance policy that may entitle them to reimbursement of their legal fees. This is particularly significant in an environment in which the availability of publicly funded legal services is increasingly restricted and there are severe controls on defendants' ability to use restrained assets to pay for their defence. Efforts to embed compliance regimes in companies designed to reduce the risk of various offences (substantive bribery offences, ancillary offences, and others) are an increasing feature of the anti-bribery landscape in the United Kingdom. The 2010 Act encourages commercial organisations to put in place adequate procedures to prevent bribery offences as a means of ensuring a defence to potential allegations of failing to prevent bribery under Section 7 of the 2010 Act. The existence of an effective compliance programme might also be a factor in favour of not prosecuting a company, and perhaps agreeing to a DPA instead. Meanwhile, as referenced above, the regime aimed at detecting and preventing money laundering offences under the Proceeds of Crime Act 2002 creates requirements (for financial institutions and others in the regulated sector) and incentives (for anyone at risk of committing a money laundering offence) to report their suspicions of acquisitive crime, including bribery. The lodging of reports under this regime is increasingly the trigger for criminal investigations, and must be borne in mind whenever bribery issues emerge as part of the tactical considerations on whether to self-report. In short, whenever accountants, auditors, banks, or even transactional solicitors suspect an offence has been committed by their client, there is a reasonable likelihood that they will report that suspicion to the authorities. The regulatory requirements on and reputational issues for the United Kingdom's financial institutions, which are under severe pressure to institute risk-averse systems for detecting financial crime, can only serve to increase that likelihood. The United Kingdom's response to bribery remains in a period of transition, and not only because there are still extant investigations that engage the 1889 and 1906 Acts as well as those that engage the 2010 Act. A tension has existed for some time between the need to display a tough attitude towards enforcing anti-bribery laws, and the pragmatic reality (particularly given the limited resources of the SFO, and the difficulties in proving liability in some cases) that the interests of justice may in fact be best served by a settlement between prosecutor and suspect (particularly a corporate suspect). CROs may now be out of favour, but DPAs in practice seem to be performing a similar function. Nevertheless, even these measures will need to be backed up with a credible threat of prosecution, conviction and severe sentencing if they can reasonably be expected to have some bite as a deterrent and a punishment for corrupt behaviour. 1 Shaul Brazil and John Binns are partners at BCL Solicitors LLP. 2 The historic common law offence of bribery also survives but is rarely if ever used. In brief, the common law provides that where a person in the position of trustee to perform a public duty takes a bribe to act 'corruptly' in discharging that duty, both the person who pays the bribe and the person who receives the bribe commits an offence (R v. Whitaker  3 KB 1283). 3 The Bribery Act 2010, Section 11. 4 The Bribery Act 2010, Section 14. 5 The Bribery Act 2010, Section 8. 6 The Criminal Justice Act 1987, Section 2. 7 The Proceeds of Crime Act 2002, Part 2. 8 The Proceeds of Crime Act 2002, Part 5. 9 The Serious Organised Crime and Police Act 2005, Sections 71 to 73. 10 'The Bribery Act 2010: Joint Prosecution Guidance of the Director of the Serious Fraud Office and the Director of Public Prosecutions' (see www.sfo.org.uk). 11 R v. AIL, GH and RH  EWCA Crim 2. 12 The Bribery Act 2010, Section 11. 13 The Bribery Act 2010, Section 12. 14 The Theft Act 1968, Section 17. 15 The Proceeds of Crime Act 2002, Part 7. 16 The Companies Act 2006, Section 387. 17 The Money Laundering Regulations 2007. 18 The guidance reverted to its previous version: www.sfo.gov.uk/publications/guidance-policy-and-protocols/corporate-self-reporting. 19 See the OECD website. 23 The Crime and Courts Act 2013, Section 45 and Schedule 17. 24 'The Crime and Courts 2013: Deferred Prosecution Agreement Code of Practice' (see www.sfo.gov.uk). 25 Reported in The Guardian, 16 January 2017. 26 'Fraud, Bribery and Money Laundering Offences: Definitive Guideline' (see www.sentencingcouncil.org.uk). 27 Kensington International Ltd v. Republic of Congo  EWCA Civ 1128. 28 The Proceeds of Crime Act 2002, Section 41. 29 The Proceeds of Crime Act 2002, Section 245A. 30 The Proceeds of Crime Act 2002, Part 5, Chapters 3. 3A and 3B. 31 The Proceeds of Crime Act 2002, Sections 396A to 396U. 32 The Proceeds of Crime Act 2002, Section 362B (3) and (4)(a). 33 National Crime Agency v. Mrs A  EWHC 2534 (Admin). 34 The Proceeds of Crime Act 2002, Section 336A.